Little Bit Funky: exciting happenings. 2012 has shaped up to be a pretty epic year for me and my little business. I could never have imagined all the awesome things that January 1st would open the door to. I've had an amazing flood of features, so many that I've literally lost count. I'm thankful and blown away by each one. These two however, landed in my mailbox. 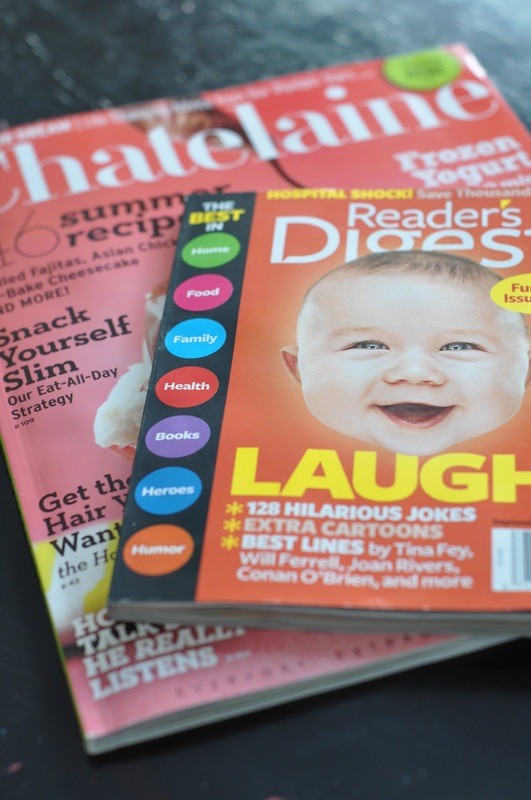 Chatelaine is one of the top Canadian magazines and Readers Digest is pretty high up on the most circulated magazines list both here and in Canada. 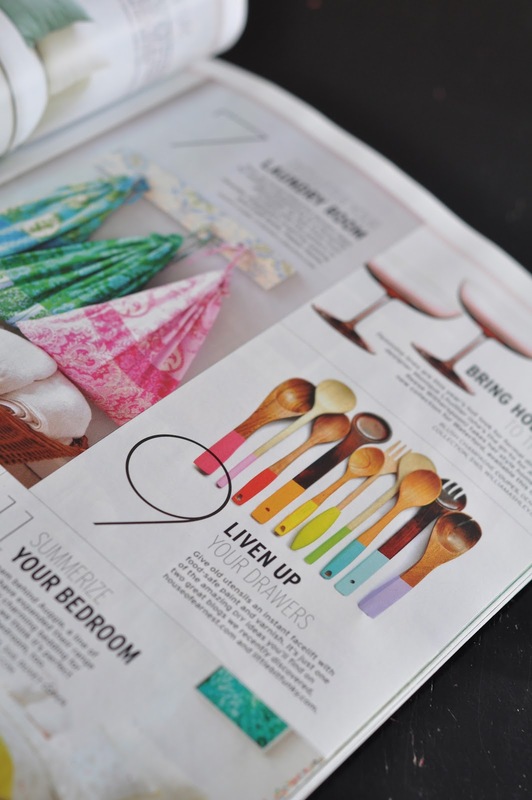 Both of them recently featured my wooden spoon project. Amazingly fun to see MY work and MY name and MY website in print...in some pretty popular magazines to boot. I already have some more features lined up for 2013 but I can't mention those yet...but just as big and awesome. I've also been recently featured on Babble, Wired and so many other fun places. I'm amazed at my blessings. That is because you're awesome! I find so many things pinned on pinterest and I click to go to the website and its YOURS. I'm like hey! I know her! lol :) You rock. Yesterday I was in Target and they had spoons just like yours for sale! I told my husband they got the idea from a cool blogger I read! Yesterday I was walking through Target and they had spoons for sale JUST LIKE YOURS! I told my husband they got the idea from this cool blogger I read! Wahooo! I just opened my Reader's Digest and saw it. How exciting!! Do you write for Babble? It's a dream of mine. Congrats, Crystal! You deserve these features and MANY more! Good things happen to good people. You inspire a lot of people and I think the fact that you happily share ideas/ DIYs with everyone is wonderful. I'm so happy for you! Congratulations on all of the features. Long ago, I made your mini apple pies. But recently on pinterest, I've been brought back here. Your newest follower, and I wish you continued success. I had a feeling that wooden spoon DIY would go nuts. Hey! I read this a while ago and forgot to comment on it. This is AWESOME! You are AWESOME! Way to go! Rah Rah Rah!